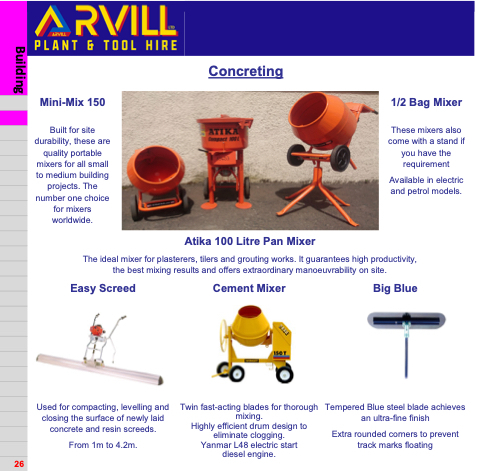 Built for site durability, these are quality portable mixers for all small to medium building projects. The number one choice for mixers worldwide. Available in electric and petrol models. The ideal mixer for plasterers, tilers and grouting works. It guarantees high productivity, the best mixing results and offers extraordinary manoeuvrability on site. Twin fast-acting blades for thorough mixing. Highly efficient drum design to eliminate clogging. Used for compacting, levelling and closing the surface of newly laid concrete and resin screeds.